Since the summer of 2009, Ukraine has banned all casinos. However, after 1.5 years, it became obvious that the country was losing huge sums of money due to the imposition of a ban on gambling. Therefore, local authorities have raised the issue of the return of the gaming industry and the legalization of casinos in the country. Casino Ukraine This issue has been considered in the Verkhovna Rada several times. As a result, the prepared bill touched only the sphere of casinos and classic gambling, while slot machines were not included in the list of available future gambling entertainment. We can say with the adoption of the new gambling law “one-armed bandits” will go down in history. 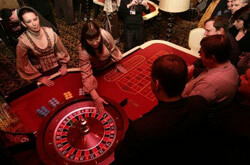 However, the ability to access other popular gambling games inspires and delights not only local residents. After all, the new bill allowing resumption of casino activity in Ukraine, to a greater extent implies the flow of funds into the state treasury from the influx of tourists and spending their leisure time in entertainment establishments. That is why the law stipulates the permitted places for organizing casinos, which are luxury 4-5 star hotels and hotels. And besides the class of the hotel, the necessary conditions for obtaining permission to host a casino will be the presence of a number of rooms in the hotel: there must be at least 60 of them. Also, the bill provides for the establishment of the cost of a license for a gambling business in the amount of 40 million hryvnia (previously, its cost was 1.5 million). It is clear that in this way the authorities intend to get as much money as possible into the budget. However, it is obvious that such a large amount will not be affordable for every subject who wants to open a casino. Therefore, it is assumed that the introduction of the new bill will lead to the functioning of only 4 casinos in Ukraine: in Kiev, Donetsk and Odessa, i.e. in large cities. 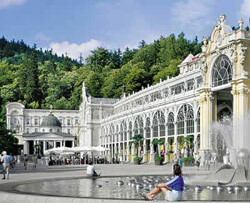 It is not profitable to maintain a casino in the Crimea due to the short-term gaming season. Therefore, it is unlikely that any of the owners of the gambling business would risk putting up millions of hryvnias so that their gambling activities would bring losses in the future. Of course, the introduction of this bill will solve the problem of legalization of the casino of Ukraine only partially, since underground entertainment facilities and gambling halls will continue to exist. And this assumption can be explained by the lack of opportunities for many entities to legally carry out their activities. In addition, the Verkhovna Rada plans to issue another law concerning the online sphere of gambling, according to which it will be necessary to cover all online casinos in the country, since their activities are not regulated at all. And this will also add problems in the gambling industry. The ban on the gaming industry in a virtual environment implies the closure of all online casinos in Ukraine. 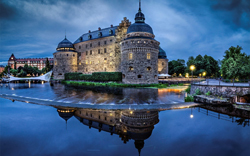 However, many of the existing casinos have registration in offshore areas and, accordingly, local authorities will not be able to restrict access to them. The law on online gambling provides a clear interpretation of the concepts “online casino”, “online gambling” and “interactive games”. Therefore, to avoid compliance with the law will be very difficult. At the moment of gambling in the territory of Ukraine only sports poker is allowed. The new bill is silent about it, which means that the major Russian poker tournaments, as before, will be held in Kiev – the capital of Ukraine and the poker capital of Russia.